Although this was a small project, it was one of the first ones ever completed by C2V+. 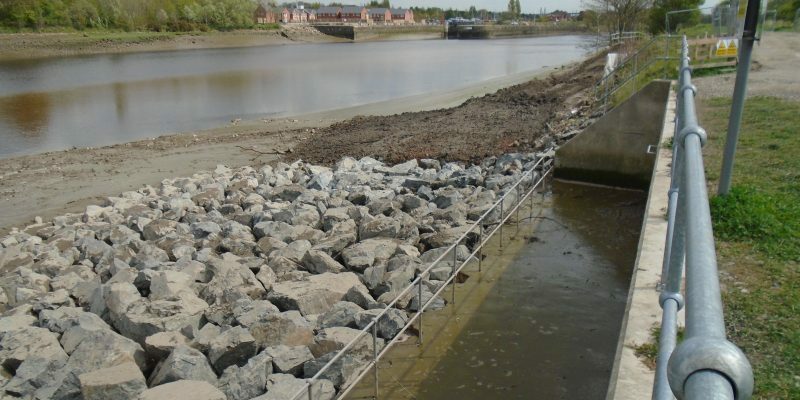 The scope of works was awarded for a revetment to the Preston Terminal Pumping Station Outfall. This project also included piling works from VolkerGround Engineering which is a subsidiary to the VolkerStevin business which forms the joint venture.